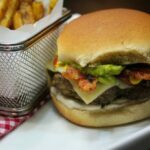 You are here: Home / Recipes / Beef Entrées / Grill w/ the T-fal OptiGrill: Pepper Jack Bacon Guacamole Burger Recipe! Pepper Jack Bacon Guacamole Burger Recipe. Yes, folks, it’s a thing. Well, I’ve been known to BBQ in the dead of winter, we are Canadian after all. But, this year, we have had so much snow that we had to store our BBQ. Imagine our disappointment. 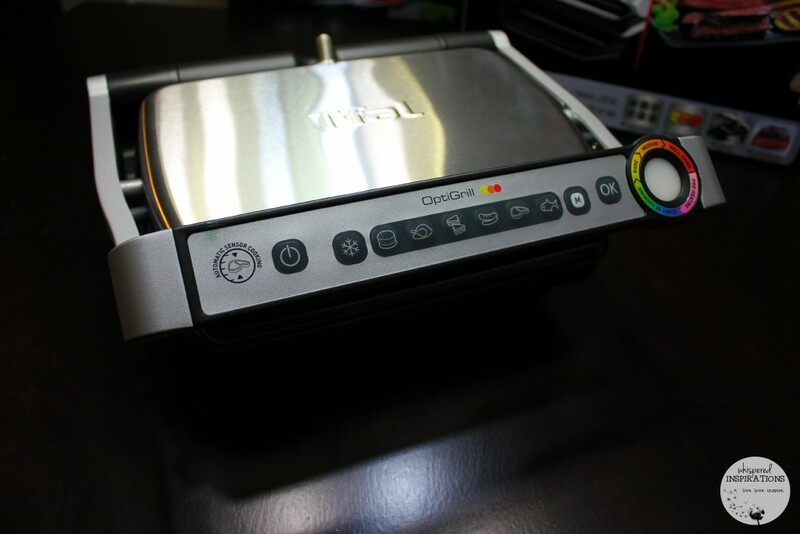 Luckily, the lovely people behind T-Fal asked me to review their OptiGrill. I was stoked to give it a try because grilling is our preferred method of cooking and to be able to do it year-round is optimal. According to T-Fal, only the T-fal OptiGrill has special sensors that automatically determine the thickness of your food and grill with precision at the ideal temperature for that unique cut of meat. The precision grilling technology also monitors the temperature of your food as it cooks. The Cooking Level Indicator will indicate when it has reached your ideal temperature: Yellow for Rare; Orange for Medium; Red for Well Done. One of the things that usually discourages me from using indoor grills is the clean-up. I’m not going to lie, it can get messy! 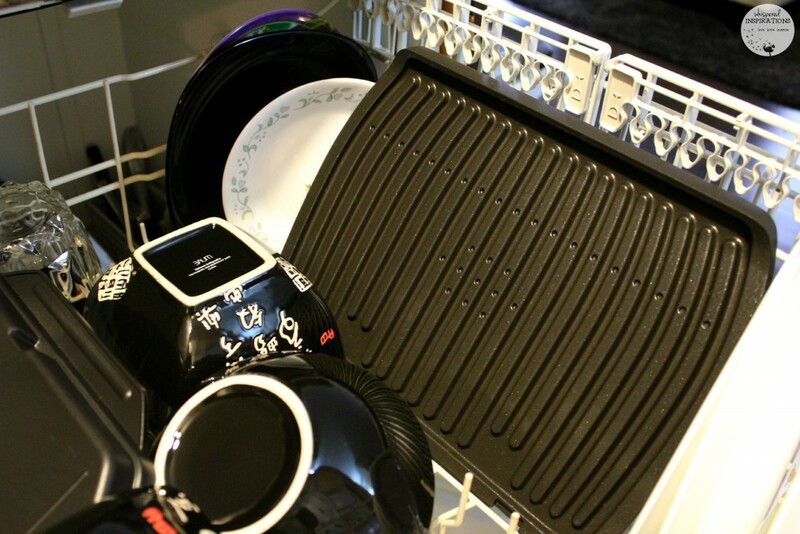 The OptiGrill has Non-Stick plates and is dishwasher safe. That means, I can finish cooking and put it in my dishwasher and not have to worry about a big, gunky mess. I love how well-built and sturdy the design is. 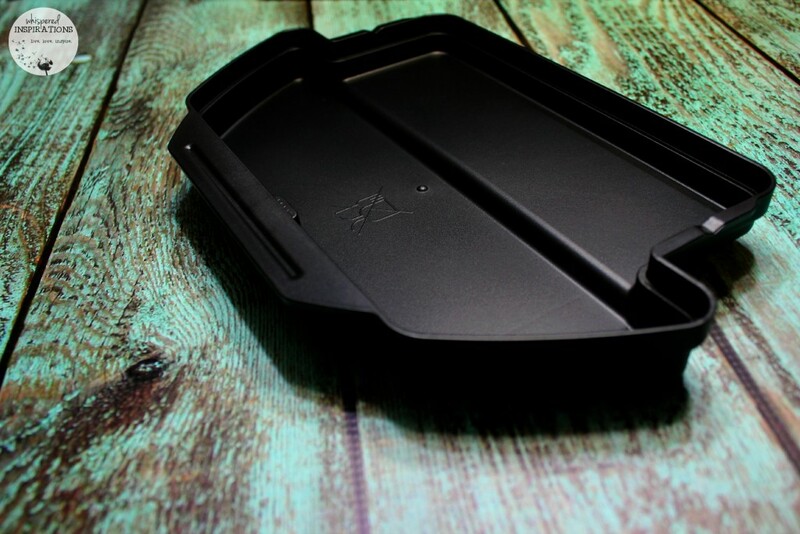 It comes with a durable drip pan that is easy to clean too. No more defrosting! You can now cook straight from frozen. Indoor Grilling at the comfort of your own home. Non-stick surface & excess fat drip system for healthier meals. Precision Grilling Technology for perfect temperature every time. 3 Quick & Easy Steps to delicious meals. Extra large grill plates enable easy meal prep for a family of 4! 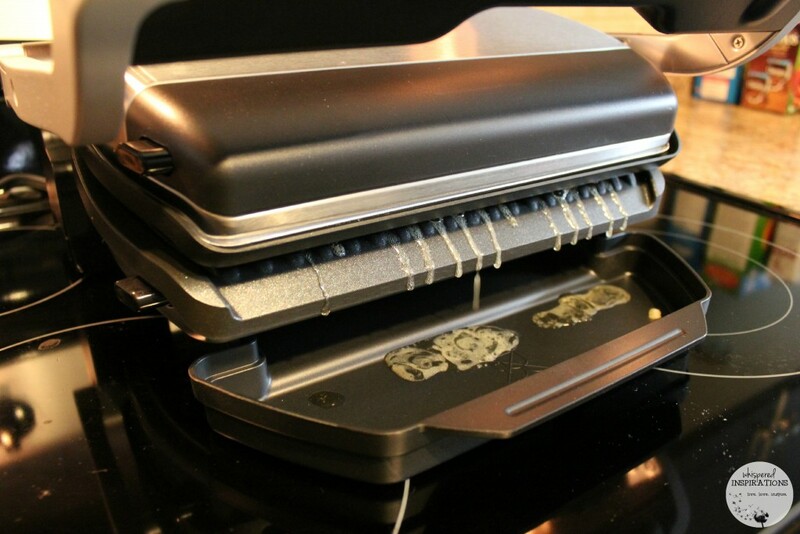 Dishwasher-Safe & easy clean up appliance. What I found out about the OptiGrill that has raised the bar substantially in the sense of superiority is that it has precision grilling. That means you will never over-cook or under-cook your food. 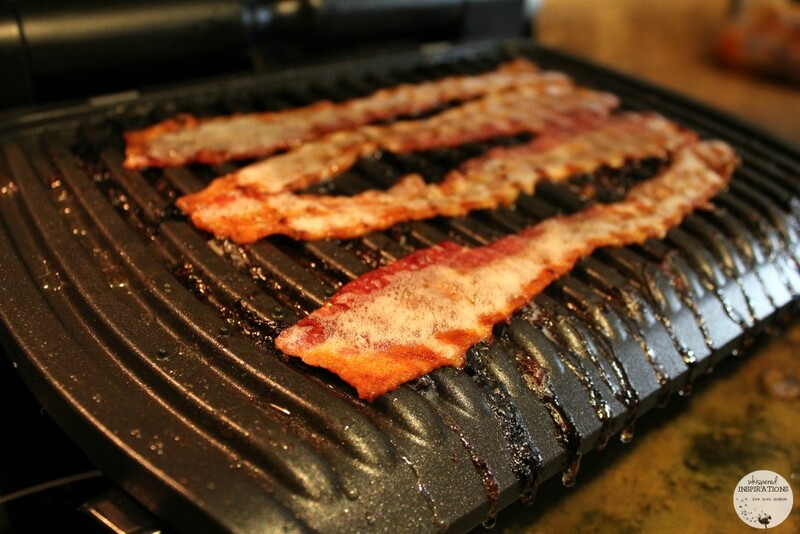 You can cook meats, veggies, Panini’s, sausages, bacon and even fruit on your T-Fal OptiGrill! We decided to make our famous burgers on the OptiGrill and we were over the moon on how they turned out. Just as juicy and delicious as they do on a BBQ on a hot, summer day. Only difference is that it is the middle of winter and cooked indoors! This is a delicious family creation. We are gourmet burger connoisseurs and we wanted a way to have the same taste at home. We put together our favorite ingredients and the PoSang Peppa Guac burger was born! Wash potatoes, julienne into fries. Add cajun, garlic powder, onion powder, parsley, paprika and salt and pepper to taste. Put into ActiFry bowl, add 1 TBSP of olive oil and set for 25 minutes. Chop onion, break egg, add bread crumbs, add paprika, parsley, onion powder, garlic powder, adobo and salt and pepper. Start kneading mixture with hands until full combined. 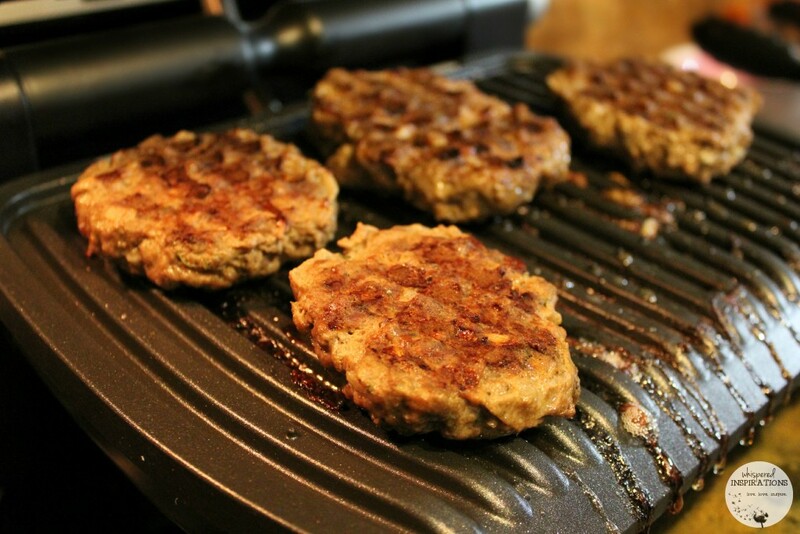 Add patties to OptiGrill and burger setting, remove from heat when your desired cooking setting has been reached. Either rare, medium or well-done. Mine are well-done. Take strips and place them on OptiGrill. I used the same burger setting and kept it open and flipped the bacon accordingly. Cut avocados in half, remove pit, spoon out the avocado. Place in mortar, add chopped habanero pepper and salt and pepper to taste. Combine parsley, garlic powder and margarine (or butter) in a bowl, mix until combined. Spread onto the top of the bun and on low heat place on non stick frying pan until golden. On bottom bun, spread 1 TBSP of pepper mayo, place burger patty on top. Place pepper jack cheese on top of patty and 2 slices of bacon on top of cheese. On the top bun, spread a TBSP of spicy guacamole. Add Ketchup or Mustard if so desired. The PoSang Peppa Guac Burger! 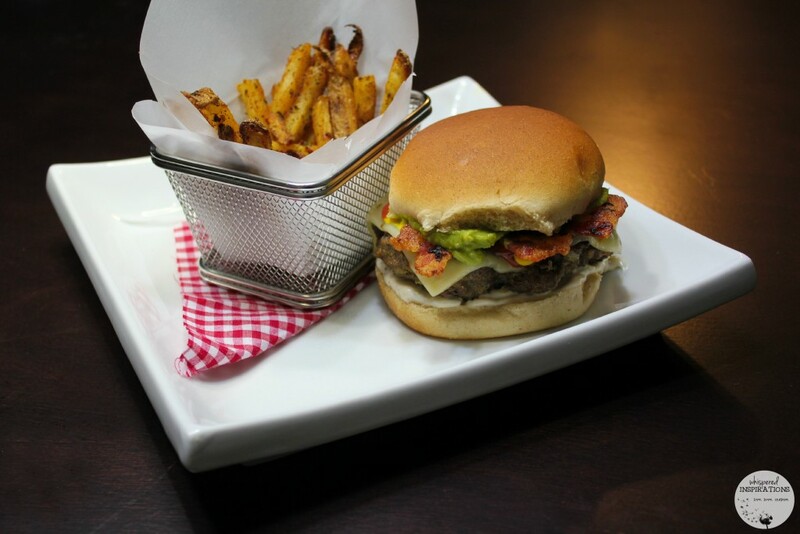 We made an all-beef savory patty, grilled bacon, pepper jack cheese, pepper mayo and spicy guacamole topped burger! On a garlic-butter, toasted, whole wheat bun. I also used my T-Fal ActiFry to make Cajun Fries to go with it. Let’s put it this way, everyone gobbled this treat up without complaints! It’s a savory and spicy burger and my kids love spicy food, so for them–it’s a piece of cake! If you are not the spicy food connoisseur, you can opt for Colby jack cheese, regular mayo, and original guacamole. 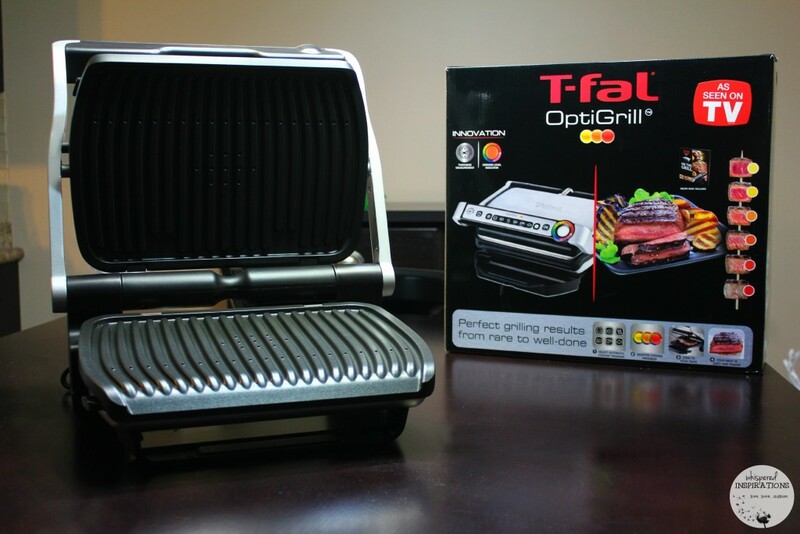 For more information, you can visit T-Fal OptiGrill online or you can check out OptiGrill on FB. They are also on Twitter and you can send them a tweet, here. What would you grill on the OptiGrill? I would cook salmon and chicken to start hmmm looks good on their webpage. I would grill up some salmon (for my son), chicken (for me) and steak (for my husband and older son). For sure some Panini sandwiches for the kids & I. Looks great! Mmm I would love to grill up some steaks, and burgers! I'd cook chicken and steak on it. Home made burgers are always the best. That would be the first thing i make! A thick, juicy ribeye steak!! I would cook chicken or fish. I'd make chicken – I find it so hard to make well so this would be perfect! I'd cook some juicy hamburgers that hubby and I made and froze from fresh meat. I would make Turkey Burgers! I would literally use that almost ever day to cook dinner. What an awesome contraption! We love to grill and in the winter, an indoor grill would be perfect for us. We are trying to cut back on our beef intake, so chicken would be what I am going to grill. Mmm, grilled chicken, cannot go wrong! I would grill up some hamburgers, something we don't get in the winter when we can't bbq! This looks great and easy to use. I would definitely make grilled shrimp for my kids! I now want one of these so darn bad that I can't believe it! I could make so many awesome things with this! I would grill EVERYTHING lol! LOL, it makes life easier! Fancy! I love that it detects the thickness of your food for you. And I love that it's dishwasher safe! I have an older version of an indoor grill and I hate using it because it's so hard to clean up. This is awesome! I feel you on hard clean up. This one goes right into the dishwasher. I would probably cook chicken on the grill. This looks like an awesome grill to have. grill up a nice burger! I would be cooking salmon for myself and burgers for my husband. This is great! My family loves to grill, but would rather not battle the cold winter wind to do it outside. I would grill chicken for dinner. This looks so handy! I know what you mean when you say that clean-up discourages you from using other indoor grills. Being dishwasher safe is a big plus for me! Oh my goodness this looks amazing!! I would have to do burgers and chicken for our house!! This appliance is going to be added to must get list for the kitchen! Wow, great for cooking almost anything. This would be so great for bacon mornings with my boys! I would do burgers for my hubby and son with bacon of course and I would do chicken or steak for me and my girls. That grill is gorgeous! I love grilled burgers. I also use my indoor grill (like this, another brand) for quesadillas. It works great! Thanks, it really is a beaut! What a great addition to my kitchen it would be, no more going outside in the winter! So true and it works amazingly! I would grill chicken for myself, and for my hubby… steak. Thanks, it is our signature burger! I'd cook a panini sandwich! Probably chicken caesar. Yummy! That's nice! I'd make steaks. I love that easy clean up. My recent post Tips For Less Hectic Mornings + FREE Printable Lunchbox Notes! Another item I would love to grill on it would be a steak! I would cook chicken or fish as i love them cooked on a grill! I would love to get my hands on one of these! It has been far too long since I last grilled! While for the grill steaks are our usual go to, we would be trying out the burger recipe above for sure! My husband is the grill cook. He'd cook chicken or burgers on the OptiGrill. I have this grill and it is so awesome! You cna cook so much on it. This would be a nice upgrade! I would love to make Paninis for my family! Definitely home made burgers, and grilled veggies.. then shrimp skewers and .. i could go on and on. Paninis would be awesome to make on this grill! Looks like a good way to cook bacon so I would definitely try that! I would definitely grill up a steak! Thanks for the great giveaway! I'd definitely do a nice burger! I would definitely make burgers and fries, just maybe slightly less spicy ones :). A burger looks like it would be amazing to make 🙂 Thanks so much for the great giveaway and information on it. I would at first grill up some burgers!!! A grilled burger would really be nice about now, since I haven't had one since September. I would cook chicken breast! We eat a lot of chicken in this house, so I'd start with that! We would cook up some chicken breasts on the OptiGrill. Thanks for sponsoring this awesome giveaway and for the opportunity to participate. I would cook steak and veggie kabobs! This would be a dream, chicken, burgers, sandwiches, vegetables it's endless! I've never tried to grill fish, so I think I'd grill fish on the Optigrill. I would grill some bacon wrapped chicken 🙂 Thanks so much for the chance at this great giveaway. I could go for some grilled chicken today! I would grill up some chicken for Caesar salads! soma salmon and shrimp would be nice on the grill! Grilling up a hamburger would be a nice change to our current menu! I would grill some shrimp and prawns. I'd grill lots of chicken on it – great for dinners and lunch and lots of different recipes. I'd fry chicken on it. A steak would be good done on that grill today, anything that make me think of warmer weather! I would make grilled pork cutlets. I would make some chicken and veggies !!!! I would cook some healthy chicken ! :) maybe make a chicken sandwich! Pork porterhouse chops. Love them. T-bone steak. Mmm the best !!! I want to make some firecracker shrimp! A bacon cheeseburger would be great to grill up right now! I'd grill some lovely fresh salmon. I would love to make pork chops and grilled veggies! I would grill some burgers, my favorite food! I also love a good grilled steak, tough decision! I would grill a meal of veggies. Chicken breasts because I think they'd be juicy! how about the steak and veggies! I would LOVE to win one of these! We strive to eat healthier and this would be a great help! I'd cook sweet potato fries. I'd grill some hearty burgers then top them off with some mozzarella and sauteed mushrooms. I would make grilled ham steaks. Grilling up some chicken would be great on that grill! I would grill some salmon steaks. Would love to cook up a burger on it! I would cook some juicy thick salmon steaks. And some veggies. I am going to grill some juicy turkey burgers. I've never grilled fruits or vegetables, so I'd like to try doing those items. I would cook burgers as they are the favorite for my family. The burgers you made have me drooling a wee bit, so I would make those too. I would make grilled sandwiches. I would love to grill up a steak on this grill. I'd cook chicken on it! I would love to grill some turkey burgers! I like that its wasy to use and we can cook burgers on it !! I would make a steak with seasoning. I would cook chicken & squash! Thanks for an awesome giveaway! I would cook my chicken breast on it. I'd make steak and fries. I'd grill up lamb chops. I would make a griled veggie burger. Definitely would grill up a burger! I love cooking shish kabobs on the grill so that would top my list for sure!! I would grill some salmon! Grilled salmon burgers and sweet potato fries. I would make bean burgers on the OptiGrill. They don't hold together well enough to cook them on a bbq (I tried, they fell through the slots in the grill…) so this would be perfect. I would cook steak and fries on the grill! I would grill some chicken burgers. I would try out some grilled Halibut Yum!!! Thanks for the chance at this great giveaway. Keeping my eye out for when they go on sale. Definitely need to buy one for my son who is in College. Would love to grill up some burgers on this grill! i would do some hamburgers! A seafood medley would be nice. I would cook sweet potatoes and chicken. I would grill up some chicken. I will cook a spicy chicken burger. Definitely a yummy burger with some bacon and cheese! I think grilling pineapple would be neat and make a nice, tasty, tropical side dish to an entree. I'd like to try cooking fish on the OptiGrill. I would like to make your PoSang Peppa Burger on it! Chicken breasts would be nice to grill up on that too! Thanks for the recipe,we are going to enjoy these on the weekend if the weather permits! Thanks for sharing your recipe it was delicious!